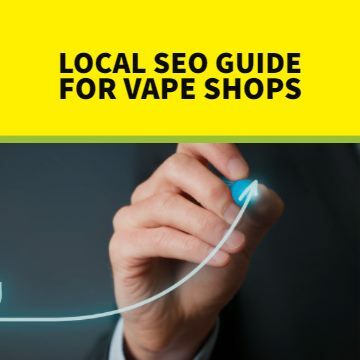 SMOK has really come a long way since its early days in 2010 as a manufacturer of generic eGo e-cigarettes and cigalikes. Today, SMOK releases a constant flow of new mods with strikingly pretty designs — and their tanks have become legendary for producing some of the biggest clouds available from anything that uses pre-made coil heads. The company is now so popular that it’s almost certain you were aware of the SMOK H-Priv long before reading this review. This 220 watt, dual-battery mod comes at a surprisingly affordable price. It also has an innovative feature to make your puffs more satisfying by eliminating the need to preheat the coil. There’s that interesting triangular fire bar, too. How does it work? Continue reading our SMOK H-Priv review to find out. 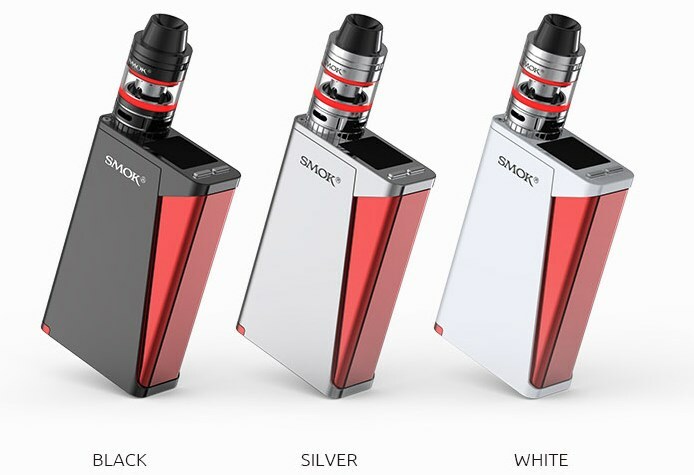 What Is the SMOK H-Priv? 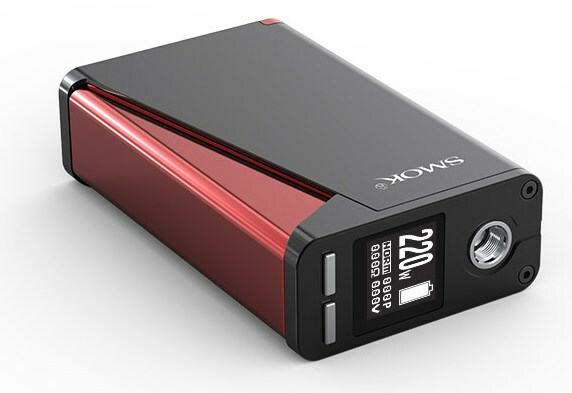 The SMOK H-Priv is a 220 watt box mod that accepts two 18650 batteries. You can purchase it as a bare device or include the SMOK TFV4 tank for a few dollars more. The key feature of the H-Priv is a hinged triangular fire bar that replaces the traditional fire button on most box mods. The fire bar allows you to use the mod simply by squeezing it. If you’ve ever dealt with a tiny or finicky fire button, you’re really going to like the fire bar. It greatly enhances the mod’s feel in the hand. The other unique feature of the H-Priv is the “Strength” selection. This determines how quickly the H-Priv gets up to your selected wattage. You’ve got five possible selections: Min, Soft, Norm, Hard and Max. The “Max” setting gets your coil up to the target wattage just about instantly, giving you full vapor production from the very first puff even if the coil is completely cold. We noticed a profound difference in vapor production compared to most mods when using this feature. The SMOK H-Priv supports temperature control mode as well as standard wattage mode. The minimum coil resistances in the two modes are 0.06 and 0.1 ohms respectively. You can set the wattage between 6 and 220 watts, and you can set the temperature between 200 and 600 degrees Fahrenheit (100-315 Celsius). The H-Priv has ample venting on the bottom and features all gold-plated connections. The SMOK H-Priv measures the initial resistance of your atomizer when you first connect it. If it thinks that you’ve connected a different attachment, it’ll automatically ask if you’re using a new coil and recalculate the resistance for you. The H-Priv measures resistance to the thousandths place, so it’s quite accurate. You can also fine-tune the resistance through the menu system — raising or lowering it by up to 0.05 ohms — if you happen to have a resistance meter that’s more accurate. Interested in an e-cigarette that automatically limits your usage? When you were a smoker, you had to consciously light a cigarette and reduce your supply of cigarettes by one every time you wanted to smoke. For many people, that simple limiting factor prevents the desire to chain smoke. 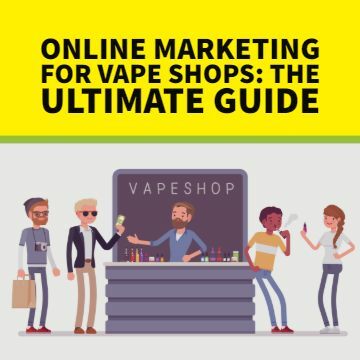 E-cigarettes are different — most of them don’t limit your usage at all. Your e-cigarette is always next to you and always ready to use — and unlike a cigarette, it actually tastes good. 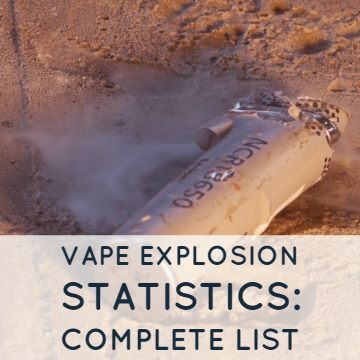 Many people end up chain vaping and consuming more nicotine than they’d prefer to. The H-Priv counts your puffs automatically as you use the device. 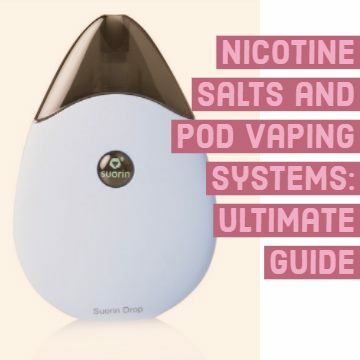 That’s not unusual, but what is unique is the fact that you can actually set a hard limit on the number of puffs you’d like to allow yourself per day. Once you hit the maximum, the H-Priv displays the message, “Max Puffs.” Sure, resetting the counter is easy enough — but knowing that you’ve set a limit for yourself can help you to be more mindful of the way you vape. 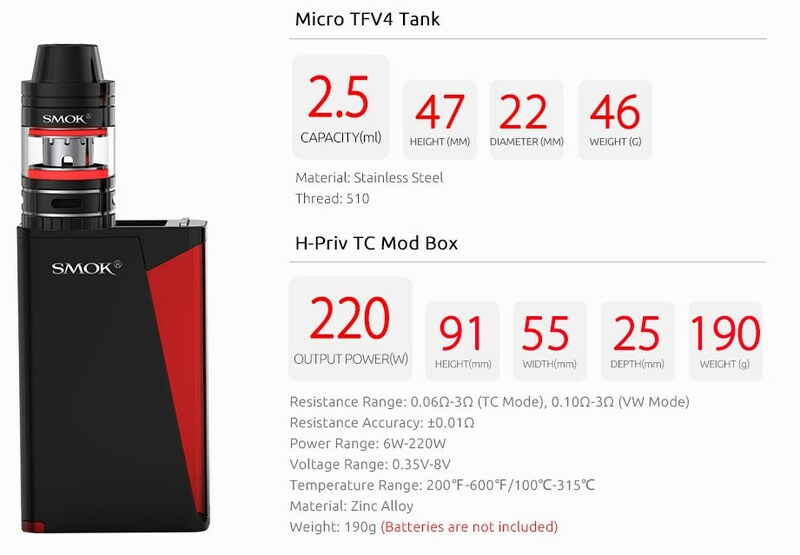 The H-Priv limits individual puffs to 12 seconds. The H-Priv retains the puff count when you remove the batteries — a good thing, since it can’t charge via USB. 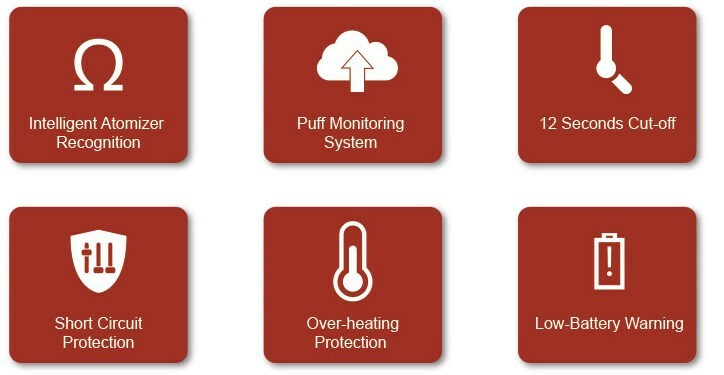 In addition to the puff limiter, the SMOK H-Priv features the standard suite of safety features such as short circuit protection, overheating protection and low voltage protection. If you try to fire the device under unsafe conditions, it’ll automatically display a message telling you what’s wrong. If you try to fire it again, it’ll remind you not to abuse the safety features — a very nice touch, considering that some people might be tempted to drive a 220-watt mod a little too hard. Out of the box, we noticed that our SMOK H-Priv had a couple of quality control issues. The top section of the mod had what appeared to be a bit of machine grease on the top and a slight bend in the side. Not a huge issue, but also something that shouldn’t have gotten past quality control. Under normal circumstances, you’d able to return a mod with those issues, but we didn’t bother since our H-Priv was a review sample. Overall, the H-Priv is really nice looking — one of the most attractive mods we’ve seen to date. We absolutely love the triangular fire bar of the SMOK H-Priv. 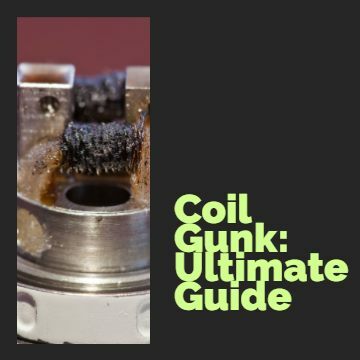 It does “clunk” a little when you release it, which makes it a little louder than your average e-cigarette fire button. The feel, though, is absolutely fantastic. You never think about how inconvenient a tiny fire button is until you don’t have to use one anymore. We love being able to fire the H-Priv simply by squeezing it. The vapor production of the H-Priv is absolutely fantastic. The ability to configure how quickly the device reaches your specified voltage really does lead to higher perceived vapor production. Comparing the H-Priv to another device with the same wattage setting, we found that the H-Priv produced noticeably more vapor because the coil heated up so much more quickly. The SMOK H-Priv includes no batteries, so you’ll need to provide your own pair of matched 18650 batteries. We used two 2,500 mAh batteries and found the battery life to be excellent. At relatively modest wattage settings and with constant usage, we only needed to recharge once per day. If you use the H-Priv closer to its 220-watt limit, you won’t get the same battery life. We used ours at around 40 watts. 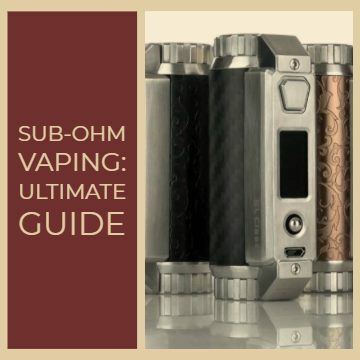 Does the SMOK H-Priv Have Any Drawbacks? Aside from the small quality control issues, we did notice a few other drawbacks when writing this SMOK H-Priv review. It is really difficult to get the battery cover of the H-Priv back in place when changing the batteries. We grew accustomed to it quickly, but we found battery changes a little difficult at first. Basically, you have to push down hard on the battery cover before sliding it horizontally into place. Side battery doors are a little easier to work with, but they can damage battery wrappers. We prefer the drop-in system of the H-Priv, even if the cover is a little difficult to work with. The SMOK H-Priv does not support USB charging. You’ll need to remove the batteries and charge them in an external charger. The USB port on the H-Priv is for firmware upgrades only. Our H-Priv review sample already had the latest firmware installed — version 1.1.1 at the time of writing — so we were unable to test the upgrade capability. To upgrade the firmware, you’ll need to remove the batteries and hold down the fire bar before connecting the H-Priv to your computer. You’ll have to continue holding the fire bar until the upgrade is complete. The firmware upgrade procedure seems pretty inconvenient to us. That being said, you might upgrade the firmware once the entire time you own the device, so the complexity really isn’t that bad. Using the SMOK H-Priv is a superlative experience overall. Between the wonderful large fire bar and the ability to fire a coil with almost no ramp-up time, the H-Priv was an absolute joy to use. Nobody really wanted to put it down and move on to other reviews. If our H-Priv review sample ever failed on us, we’d almost definitely want to buy another one. If you’re in the market for a new box mod, the SMOK H-Priv should absolutely be on your short list.